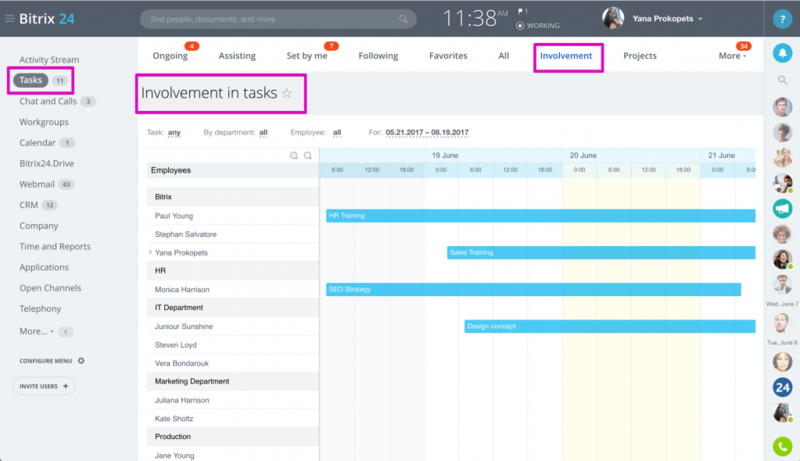 You loved Bitrix24 employee workload planning but wanted to have Gantt - like employee involvement charts for easier workload management. Done! The chart can be build for individual employees, departments or the entire company, provided you have the appropriate access rights. Tasks should have start & end dates configured to appear in this chart. Task status: any, pending, completed, etc. Please note that the time period set for "For" filter should not exceed 90 days. In case you try to set longer time period the dates will be changed automatically.